Sandpaper gate. 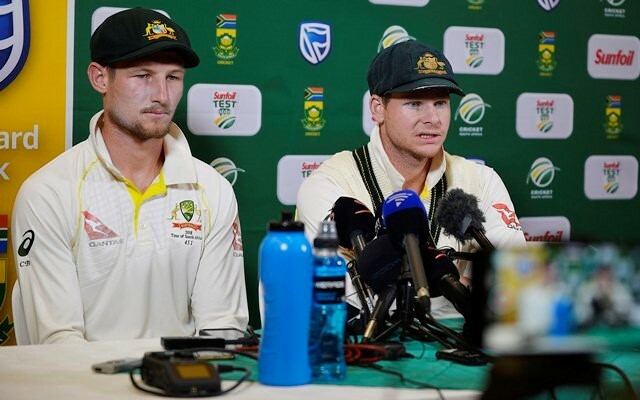 Enough articles and coverage concerning Australian cricketers Steven Smith and Cameron Bancroft have been circulated over the last few days, without adding wood to an already roaring fire. The fire in question shows little sign of respite as it plunders through integrity and honour across various industries underpinned by the “win at all costs” mantra once coined by Vince Lombardi. One only needs to look at the Russian Olympic athlete scandal in recent times, coupled with their alleged involvement with their own political voting system, not to mention the suspected involvement with a certain Mr Trump’s ascension to the oval office. Oh, and let’s not forget the corruption from Sepp Blatter and FIFA in the lead up to Qatar being awarded this summer’s World Cup, or whatever mystery package GB Cycling delivered to Bradley Wiggins which I genuinely hope is not what it appears. Cameron Bancroft and Steven Smith paying the price for trying to win at all costs. It seems that the term marginal gains has been stretched, twisted and in some cases completely disregarded in the pursuit of the ultimate goal of winning. The same could be said of player conduct and ‘sportsmanship’ on the verge of becoming extinct in some sports. Not so long ago Tottenham Hotspur and England footballer Dele Alli was caught gesticulating inappropriately, supposedly towards teammate Kyle Walker (if you can believe that). Arguably worse than the offence itself, was Gareth Southgate’s public defence of the incident, merely citing that Alli and Walker “have a strange way of communicating” with each other. No mention that the gesture was inappropriate considering they are role models for millions of youngsters worldwide, no mention of his own disapproval for it; nothing – and that is precisely the problem. Of course, one can only imagine the pressures that come with being a Head Coach or Manager, tasked with global followership and financial ramifications in the millions, but surely that does not mean that basic principles, and values of human conduct and decency can be so easily ignored. Which brings me back to ‘Sandpaper Gate’ and one comment in particular that really stood out scrolling through the many condemnations. That was, “Bancroft had the world at his feet. Smith was moving towards a group which included Bradman and Lara. He’s now in one with Armstrong and Maradona.” It really struck home that you only need to make one mistake to potentially ruin a world class career. All the years of graft, all the sacrifices both personally and from significant others in the support network, and the words people associate with you are “cheat” and “disgrace”. I think we all agree that this is not ‘winning’ even if the law or cameras have taken a while to catch up with you. So isn’t it time we re-defined what ‘winning’ is? Surely winning is to do a Roger Federer – that being an outstanding athlete in their own right but most importantly never in the press or in the match referee’s room post-game for poor conduct. Much as it pains me to say it being a Liverpool fan, but isn’t winning doing a Paul Scholes – a humble character who never attracted attention of the wrong sort, preferring instead to just get on and do his job without feeling the need to assume the identity of a prima-donna at regular intervals. Isn’t winning trying your very best at something and, regardless of the outcome, being able to come out of the other side having been the best possible version of yourself? Roger Federer has not only been a world class performer, but a world class role model for any sporting youngster to emulate. Under these definitions ‘winning’ has to assume greater priority among sportspeople at the highest level which includes governing bodies and coaches. I’m sure Eva Carneiro, Chelsea FC’s former physio would testify to that after her encounter with Jose Mourinho. Don’t get me wrong, even the All Blacks, renowned for their “no d***’s” philosophy don’t get it right all the time (Dan Carter has some skeletons in his closet for one) but the best sides ensure that the rule book is seldom, if never fully thrown at them. Fundamentally though, sport in general needs to step up to the plate in a big way. So much education these days is about the holistic approach to youth development, incorporating the person to have a positive impact on their skill and athletic development. That is great, but where is the evidence of this being upheld and applied in the upper echelons of the game? Where is Gareth Southgate reprimanding Dele Alli for a stupid and unnecessary gesture? Where are our coaches being transparent enough to criticise their players when they are effing and blinding at officials? Being able to play the game you love as hard as possible, whilst maintaining credibility, respect and humility is the message that we should be conveying to the next generation. Instead the current message still seems to be one of Lombardianism and “we’ll do anything to win”, which is deeply concerning. Dele Alli’s conduct in recent months has not been condemned by his country, conveying a message to youngsters that it is ok to act like that. Ask yourself as a coach, which would you rather do? Enjoy outstanding results on the field regardless of your players’ conduct; or perhaps sacrifice some of that success and replace it with the best values and conduct you can conjure and cultivate. If you’re leaning towards the former then have a long, hard think about the youngsters you are sending into society. Think about the group you want them associated with in later life – the legendary Bradman’s or the disgraced Armstrong’s? Your choice is as simple as that, because the real world is cut throat as some Australian cricketers are about to find out.